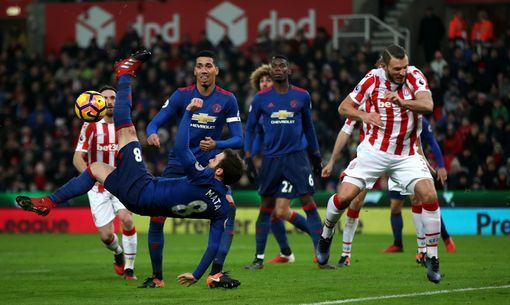 Manchester United were lucky enough to secure a point against a defensive Stoke City side today despite trailing with a goal since the 19th minute own goal score by Mata. The Manchester United side had out played the Stoke side through out the match though much deeply in the second half, stopping shots from Mkhitaryan, Pogba, Zlatan Ibrahimovic, Mata and the whole host brought into the field by Jose Mohrinho, till Rooney who destined to end the long spell of Bobby Charlton's record, handled that important free kick needed by United. 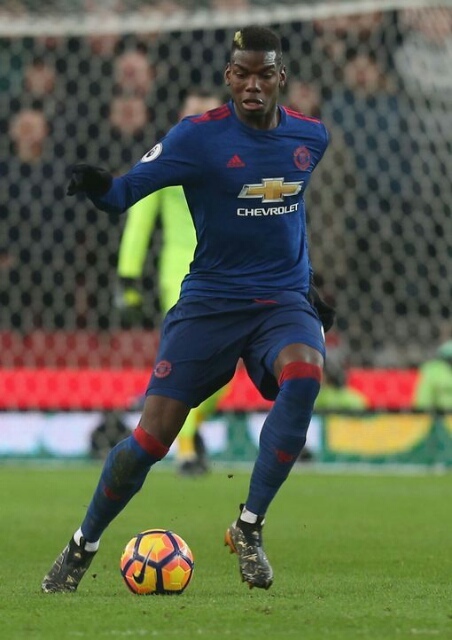 Manchester United made three changes bringing on Rooney, Rashford, and Lingard which both added great energy to the Manchester United attack, Rashford forcing the ball from the left wing, while Rooney tried to make a way through the middle. Manchester United is unbeaten in 17 games with 8 draws which has brought them that awful 6th position they posses failing to top their noisy neighbors Manchester City according to Sir Alex Ferguson.